Taking a break is an essential thing for optimum health – for the body and the mind. Whether you’re having a staycation at home or travelling abroad, it’s important to balance out rest with healthy activities and habits – even on holiday! If you’re looking for some vacation inspiration, we’re breaking down our top 10 yoga travel destinations around the world to salute the sun and get down(ward facing dog). Grab your mat, pack light and enjoy. A local for many of our Power Living tribe, Bondi Beach is an urban yogi’s paradise. With our very own Bondi Beach Studio just minutes from the sand, Bondi really has it all for a healthy escape. Drink Pressed Juices or treat yourself to a 7-course raw food degustation dinner at Sadhana Kitchen. Think yoga getaways are all beachside and toasty? Think again. Head to Montana for the ultimate yoga and skiing retreat at Big Sky Yoga Retreats. These retreats combine yoga, cross-country skiing, tea, wellness workshops and a sleigh ride dinner – a very unique experience! Sure, one Montana lawmaker did try to make yoga pants illegal in 2015 – but thankfully that bill never came into fruition! Snorkelling, crystal clear water, a dash of culture and daily yoga? Yes please. Spend a week sailing in the Maldives, taking the time to look within and reconnect with yourself. Sightsee historical and cultural monuments, dive into stunning reefs and nurture your body and soul with yoga. According to the Happy Planet Index, Costa Rica is the world’s happiest country – making it the perfect destination for a getaway. Even the Costa Rican greeting of “pura vida” (pure life) is a happy salutation! Channel your inner sloth, lying by the beach or getting a selfie at the native Sloth Sanctuary. If you’re feeling more active, there’s plenty of surfing and yoga within arms reach. Oh happy bliss. Climb volcanoes, swim with sea turtles and escape the hustle and bustle in Kauai. Better still, if you’re around for full moon – journey down to the golden beach sands of Kauai for the full moon celebration. Meditate, practice yoga, share a meal and enjoy a bonfire as the full moon rises. Raise your vibration as you let go of what is no longer serving you in this stunning location. An Aussie favourite – beautiful Byron Bay in northern NSW. Get in touch with nature relaxing by the beach or explore Minyon Falls or the Byron Hinterlands. Roll out your mat at Creature Yoga and refuel with a raw savoury (or dessert!) at Naked Treaties Raw Food Bar on Marvell St. If you’re looking for a detox – ask the team at Naked Treaties about their 1-day cleanse, the perfect refresher. If white sands, turquoise waters and Mayan ruins sound more your style, head on over to Tulum, Mexico. Book a beachfront cabana at Maya Tulum and enjoy the ocean just metres from your doorstep. Practice yoga on the sand and explore the wonders of this peninsula – from ancient ruins to the underground magical caves at Sac Atum. Head to the North Island of New Zealand and witness rugged beauty of nature, amongst volcanoes and hot springs. Hot springs are naturally heated, geothermal pools of water, usually heated by underground volcanic activity – and they’re great for sore muscles and tired bodies. Check out Rotorua, a city built on top of an active volcanic zone where there’s yoga and hot springs a plenty. We don’t recommend doing handstands underwater but you could definitely practice a tree pose or two here! In the north of India, right in the foothills of the Himalayas is Rishikesh, the birthplace of yoga. Rishikesh sits beside the holy River Ganges and the city is known as a centre for the study of yoga and meditation. Head to the eastern bank of the river to Swarg Ashram, the traffic-free, alcohol-free, vegetarian part of town for the ultimate detox. Trust us, you’ll be feeling like a brand new you on the other side! Oh Bali – the island of the gods! Choose between beachfront bungalow living or an escape to the jungles and rice fields further inland. 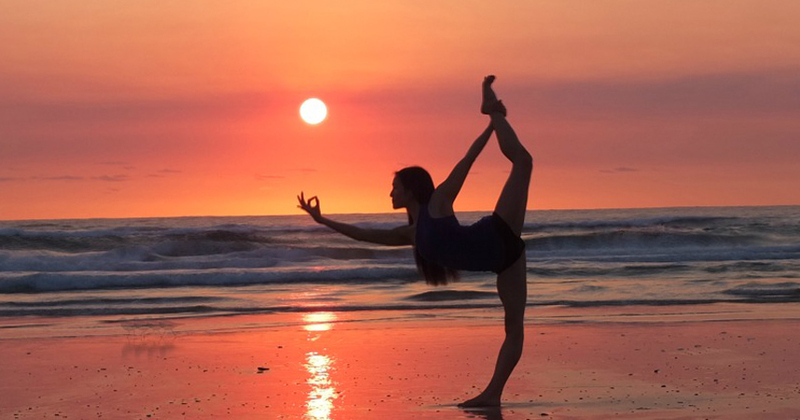 There are so many destinations for yogis to choose from in Bali, from Seminyak and Canngu to Keramas or up north to Ubud – a hotspot for yogis from around the world. Create your own DIY retreat with yoga classes at Ubud’s Yoga Barn, take a sunset walk along Tegalalang Rice Terraces and eat at various organic and raw restaurants and cafes. Don’t forget to pack us with you when you travel. We’re now online at YOGAHOLICS.com.au, so you can take Power Living with you all over the world!